Special Thanks to Richard Hains of Woodchester House. Time Warp (9:08), Directed by Indira Cesarine, features Hannah Samokhina. 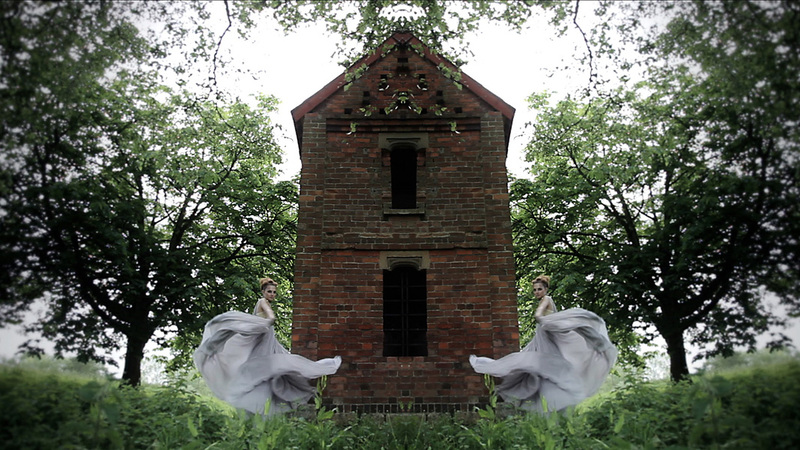 The video art / fashion film presents the voyage of a girls mind as she wafts between dreams and consciousness. As she sleeps she transcends time to another era, with the history of Woodchester House and the spirits within it possessing her dreams. Make up by Philippe Miletto with hair by Bianca Touvi, fashion styling by Indira Cesarine, with music by Nicolas Neidhardt. Her career as a director began when she with her first short film, “City of Love” being featured at Cannes Film Festival in 2007. Since then she has directed, produced and edited numerous short films while maintaining an active career as a photographer. In 2009 she produced and launched the multimedia publication XXXX MAGAZINE, showcasing original productions of fashion and video art films. Taking into consideration that the strongest medium of communication today is the moving image, Bernice decided to use it as her way of expression. From early on she embarked on the production, direction and editing of local and independent TV show transmitted every Monday for the period of eight years from her hometown at the moment, San Juan, Puerto Rico, and which was dedicated to the local and international music, art and fashion scenes. During that period she also worked as an editor for advertising for clients like Anheuser Busch and AT&T. She wrote an award wining script, which eventually became a short movie, TV LUV, screen at various festivals around the world, including the Short Film Depot at the Cannes Film Festival. She has collaborated with various artists editing video art projects in the like of Charles Juhasz Alvarado, Craig Cutler, Hans Gissinger and Indira Cesarine. She currently works as Senior editor for IC Motion in New York, the production and post production division of Industrial Color.